Making their way to stardom! Showbiz Royalties Leila Alcasid and Donny Pangilinan are officially part of the Star Magic Circle 2018 that was launched on ASAP on March 11. Leila is the daughter of one of the OPM icons Ogie Alcasid and 1994 Miss Universe-Australia Michelle van Eimeren. Ogie and Michelle’s marriage were annulled in October 2007 but remained friends until now. Ogie is now married with Regine Velasquez and Michelle with Mark Morrow. Ogie is very supportive with Leila’s talent to singing career and very proud that she is already in Star Music. She already released her single entitled Completely Love same month of her contract signing. Meanwhile, Donnie who is currently part of the MYX Channel as a VJ is also part of the Star Magic Circle 2018. 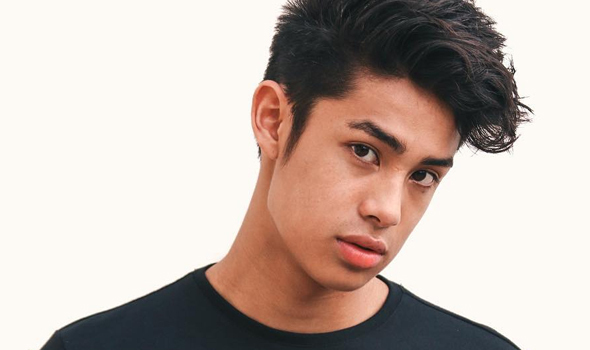 He is the son of actress Maricel Laxa and reporter turned life coach and entrepreneur Anthony “Tony” Pangilinan. Like his dad, Donny already showed talent in hosting at the early age aside from sports. He was never expected to enter showbiz until his first appearance on TV at Magandang Buhay in 2016. Like Leila, Donny is inclined to music. He loves playing the piano. Before entering showbiz, Donny was a varsity player in Brent International School Manila. With Leila and Donny’s entering to the entertainment industry, are they going to the same path of what their parents started or are they going to create something new to make their fans and their parents appreciate. Previous Article“Ready Player One” official poster is out!